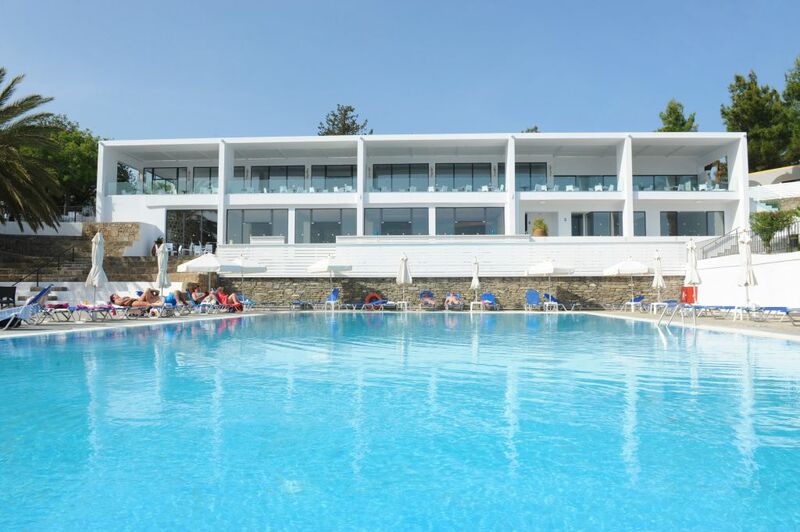 Smartline Elia Hotel (ex Saint George) is a charming, typically Greek 3-star property situated in the tranquil resort of Pefkos on the sundrenched southeast coast of Rhodes. The resort sits in between the popular villages of Lardos and Lindos and provides the perfect setting for a relaxing holiday in the Mediterranean, away from the hustle bustle of larger resorts. The gorgeous beach of Lothiarica is just 300 metres away, and is home to soft sands that shelve gently into the shallow Mediterranean waters, making it ideal for families with small children. 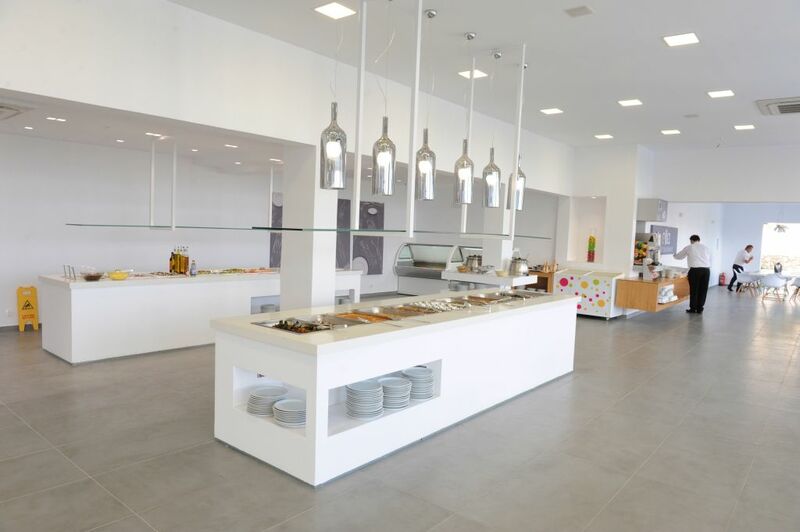 The resort centre is a short stroll away and home to a pleasant choice of authentic Greek tavernas, restaurants and shops. 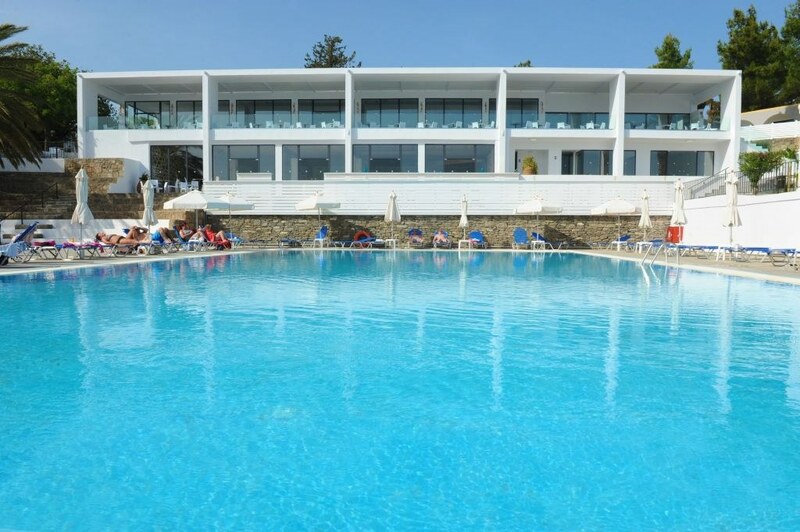 Hotel facilities include an inviting outdoor swimming pool, surrounded by a sun terrace furnished with ample loungers and parasols, which provides the ideal place to soak up the rays. Fans of the beautiful game can take advantage of the onsite 5-a-side football pitch, although if you fancy something a little more relaxing there is also an in-house massage service. Complimentary WI-FI internet access is available, so you can keep up with all the news from home should you wish to! 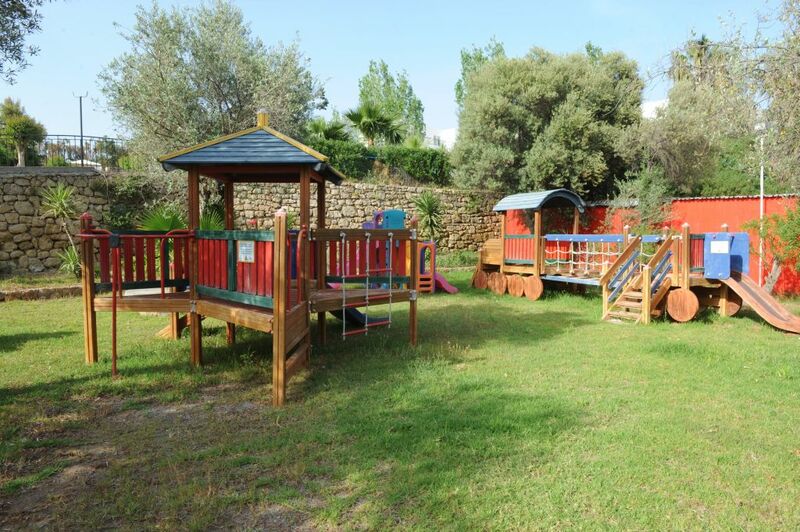 Children are well provided for with their own swimming pool and a fun playground area. The friendly, helpful and multilingual staff are always on hand to provide services such as tour/ticket booking assistance, laundry and medical assistance. 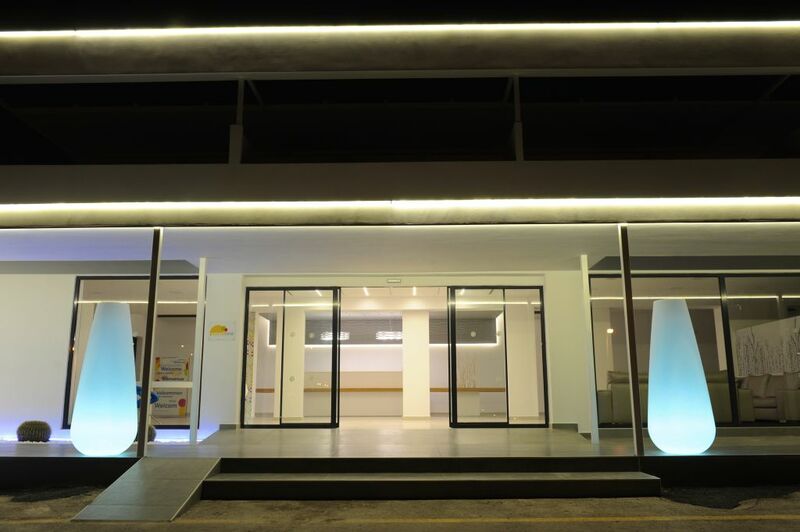 Reception is open 24hrs a day, which is ideal for those planning on checking out the island’s nightlife. 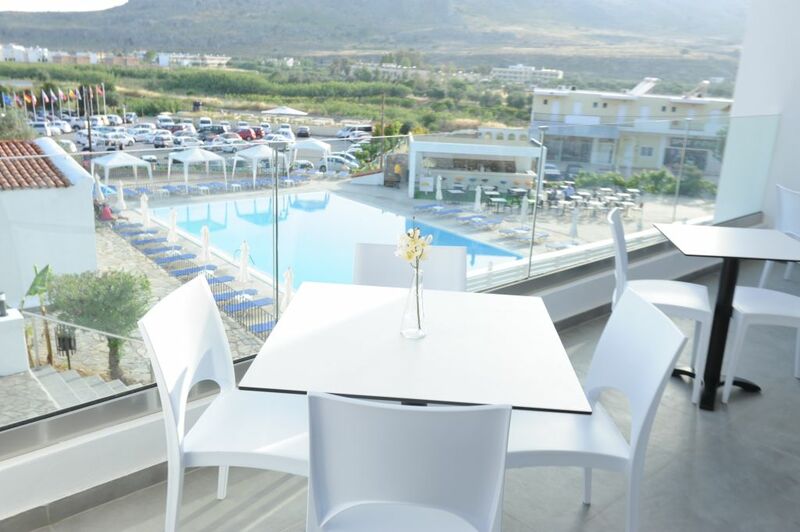 Designed in the style of traditional Greek village, the Smartline Elia Hotel has a total of 87 guestrooms on offer, all of which are smart, spacious and very comfortable. Each room comes with exemplary amenities including satellite television, air-conditioning and a large, sunny balcony or terrace with either partial sea views or garden views. The property has a restaurant and a bar. Alcoholic and non-alcoholic beverages are served during meals. Breakfast from 7am to 9.30am. Lunch from 12.30pm to 2pm. 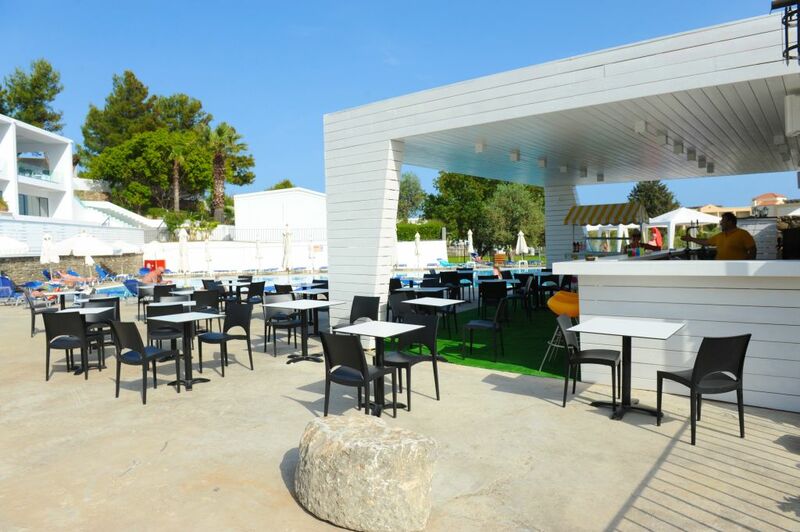 The day time bar is open from 10.30am to 6pm and offers light meals, ice cream, non-alcoholic and alcoholic drinks including cocktails. Coffee, tea and cookies are served from the bar between 4pm and 5pm.The night time bar is open from 6pm to 2am and serves a huge selection of local alcoholic drinks and non-alcoholic drinks. International brand drinks are available with extra charge. The hotel is situated just 300m from the Lothiarica Beach, between the resort of Lardos and Pefkos. Rhodes Airport is approx 55km away.